These durable brushes provide an effective barrier against gutter clogs by trapping leaves but allowing water to flow freely into the gutter. 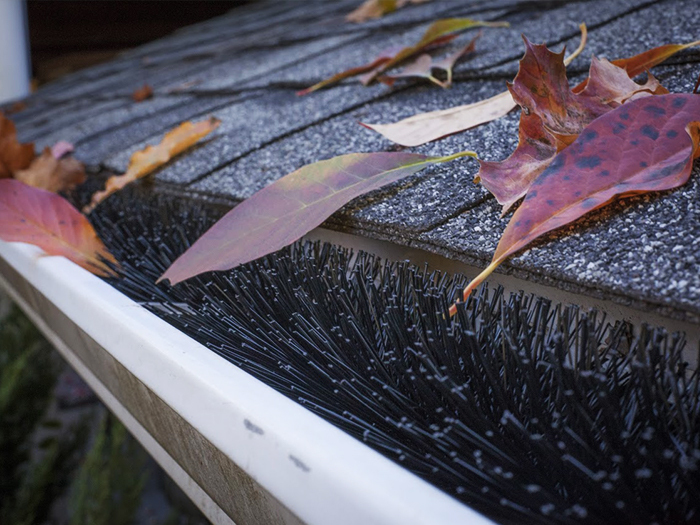 LeafBlox brushes are a simple to install, low maintenance gutter protection solution. Trapped leaves decay or simply blow away because they are held above the gutter. They also eliminate many of the hassles of other systems and can be used with almost every variety of gutter and roof types. LeafBlox keeps debris out while allowing a maximum opening for water flow.